Flute or bassoon lessons from Kate are for all ages and abilities. Learn how to play, from learning how to put your instrument together and developing the correct embouchure, to playing at a an advanced level or taking ABRSM or Trinity music exams. Kate, your teacher, will teach you how to play in a classical style, but incorporating lots of popular music and fun elements into your lessons and learning. Kate is experienced in teaching advanced students but also as a trained classroom music teacher, she has a wide variety of techniques which help when teaching pupils the musical basics and theory. Kate teaches all ages at all levels! All the material you need for Skype flute lessons or Skype bassoon lessons, are sent to you by email, before each lesson. 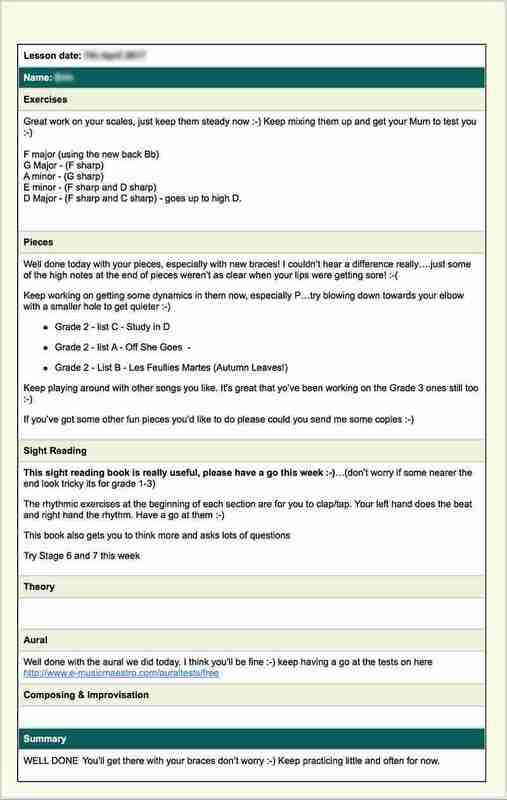 We send you detailed lesson notes after each lesson, enabling you to revise with ease, what was covered in each lesson. 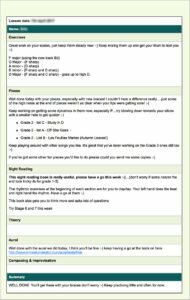 Lesson notes also help you focus on areas where you need to practise most and allow you to track your progress over time. Kate studied a Masters in bassoon at the Royal Northern College of music (UK), and has an abundance of experience from orchestral playing to reed making. If you play another instrument, why not give bassoon a try? From learning how to assemble the bassoon, making your own reeds to advanced playing, Kate will be able to give you, whatever your ability, the help and direction you need to progress. Many of her pupils achieve top levels in ABRSM exams. Read Kate’s biography in full here. 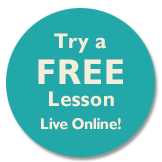 After you submit your enquiry for a free trial online flute or bassoon lesson, Tracy will get back to you by email to arrange a time to meet for a chat over Skype, answer any questions and to arrange your free trial flute or bassoon lesson. 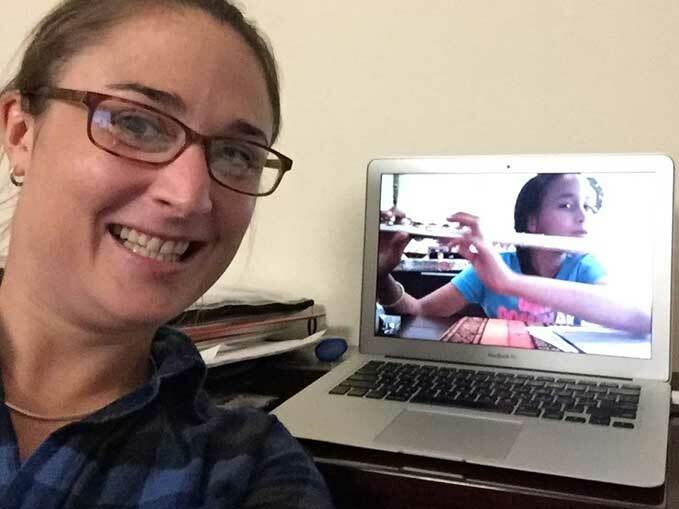 A live Skype flute lesson online by our teacher Kate, showing two students in different locations. Kate also teaches piano, music theory and IGCSE Music. Kate makes learning to play flute or bassoon online fun! The price of our Online Flute or Online Bassoon Lessons for individual students (live one-to-one tuition) is £30 per hour. 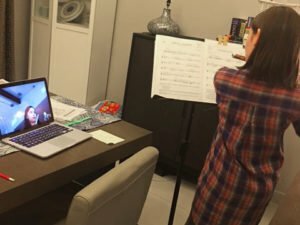 Skype flute lessons online or Skype bassoon lessons online can also be taken by groups of students, either together in the same location or when based in different locations, brought together over a shared Skype or Google Hangouts video call. Costs for shared online flute or bassoon lessons can be split amongst students taking the same lesson! The cost for Online Flute or Online Bassoon Lessons for groups is £40 for an hour shared by two students or £50 for an hour shared by 3 to 5 students (maximum 5 students to a group lesson). “I cannot thank Music Lessons Anywhere enough! My daughter Erin is so lucky to have Kate as her flute teacher! We honestly feel like we have struck gold! Kate is extremely hard working, friendly, enthusiastic and the best teacher by far that we have ever had. We are currently based in Saudi Arabia and the beauty of Music Lessons Anywhere is that when we move on to the next country Kate will be moving with us! Actually, if or when we move back to the UK we would still keep Kate!